Filipino scientist Benjamin Cabrera is a physician who is known for his works on public health and medical parasitology. He studied and devised treatments for the tropical disease filariasis, for which he received the Philippine Legion of Honor in 1996. He also carried out research on simian malaria and ascariasis. Dr. Benjamin Cabrera was born on March 18, 1920. For his university education, he enrolled at the University of the Philippines in 1945 when he was 25. After graduating with his medical degree, Cabrera then decided to pursue further studies in the US. Cabrera enrolled at Tulane University in New Orleans, Louisiana. There, he studied for a master’s degree in public health. He majored in public health and parasitology. Cabrera graduated in 1950. 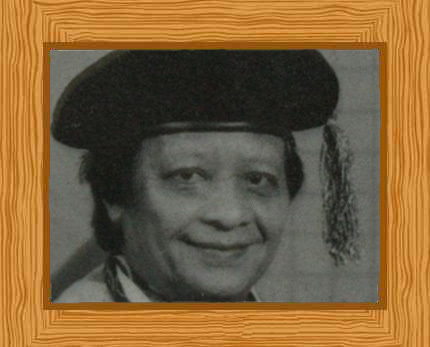 Cabrera was a prolific researcher and published more than a hundred studies on medical parasitology and public health. Not only did he write and publish his findings but he also made some very important innovations that changed the way mosquito-borne diseases were treated. He also made progress into developing treatments for parasite-infested agricultural soil. Seeing that his native country, the Philippines, relied heavily in agriculture, his findings and innovations brought a lot of benefits to his homeland. Eleven years after he graduated with his Master’s Degree, Cabrera worked with Lee M. Howard to conduct the very first study that focused on simian malaria. This is a type of malaria that naturally infects non-human primates such as monkeys and apes. The study was conducted in the Philippines and it was found that 8.6% of the animals they tested had malaria. The study suggested that cases of simian malaria weren’t all that significant and therefore didn’t pose a threat to the Filipino population. Cabrera conducted a study on filariasis. This is an infectious and parasitic tropical disease that is brought about by an infestation of thread-like nematode worms that belong to the Filariodea family. Cabrera’s work on this tropical disease earned him the Philippine Legion of Honor in 1996. In his study, he learnt the life cycle and the epidemiology of these worm parasites. Cabrera then devised drug treatments to keep the population safe from the disease. He also established ways in which the public could stay free of the mosquitoes that spread the parasites that lead to the disease. Aside from his work with filariasis, Cabrera also worked to devise a way to control ascariasis. This is a disease caused by the parasitic roundworm ascaris lumbricoides. Their eggs can be found in contaminated soil. He conducted some studies and he produced a method of reducing infection from these soil parasites. His study also focused on how the parasite numbers in the soil could be diminished and these measures are still in use. The Philippines is both a tropical and agricultural country, so his works and innovations were considered innovative and ground-breaking. They changed the way people lived and improved the quality of their lives. His findings gave the people and government a fighting chance to defend themselves against the many parasites that plagues them. Many countries in the tropics made use of his findings to protect their own citizens from the same diseases and infestations.